Nottingham is already a thriving student hub, and the opening of a new University of Law campus in the Midlands city in September this year will create a further incentive for aspiring lawyers to study there. Moving to a new city can be daunting, and it helps to know exactly which places to try out upon arrival. Together with The University of Law, we’ve put together this list of must-see Nottingham attractions, for when you need a study break. In Nottingham, the typical city attractions tend to come with a bit of a twist and the Broadway Cinema is a prime example. Watch the latest releases in Paul Smith’s architectural masterpiece, which hosted the UK premiere of Quentin Tarantino’s classic Reservoir Dogs. You can grab a coffee before or after your film in the atmospheric Café Bar. If film-watching at the Broadway has whetted your appetite for the arts, you can make the Nottingham Contemporary your next stop. As well as checking out some of the finest examples of contemporary art, you’ll have the chance to connect with your own artistic impulses at a crafting workshop. The gallery is one of the largest of its kind in the UK, and includes a performance and film space, a learning room, a shop and a café, making the Nottingham Contemporary the perfect weekend spot. History buff or not, Nottingham’s City of Caves is a great place to take your parents when they come to visit and want to check out something unique. Explore the hidden city carved out beneath the streets of Nottingham, used previously as homes, storerooms, dungeons, tanneries and hideouts. The student population keeps Nottingham’s nightlife bustling, but if you’re heading for civilised drinks rather than a full-on night out, the Pitcher and Piano is the ideal choice. Enjoy the live music on Sundays while sipping your beverage of choice (the Pitcher and Piano is a good all-rounder, with an abundance of cocktails, beer and wine). The unique selling point of this Lace Market bar is the building; it was once a church and is now Grade II listed, maintaining its stained-glass windows and brick archways. From the outside, the Boilermaker doesn’t look like much: a nondescript red shop façade on an unassuming street. However, behind this lies an ambient, well-decorated bar. The cocktails are specially concocted and unique to the Boilermaker, with equal effort going into the naming process (‘Strong Gindependent Women’, for example). It’s well worth a weekend visit if you’ve got friends staying, or are looking for an impressive date location. It’s important to leave the library every once in a while, and there’s no better place to take in the fresh air and de-stress than in Highfields Park. Whether you’re in the market for a quick breather or want to stay longer, there’s ample room to explore this historical relic, with landscaping that dates back to the 18th century. In summer, make a day of it and enjoy a game of adventure golf or croquet, and round the day off with a sail on the boating lake. One of the first things that comes to mind when Nottingham is mentioned is the famous do-gooding outlaw of Sherwood Forest, so it’s unsurprising that you can head on a dedicated tour of Robin Hood attractions. There are nods to Robin throughout Nottingham, not least on Ezekiel Bone’s Robin Hood Tour, which offers a glimpse of 700 years of Hood history through a trail of landmarks. A slightly more recently-rendered character also has his home in Nottingham. 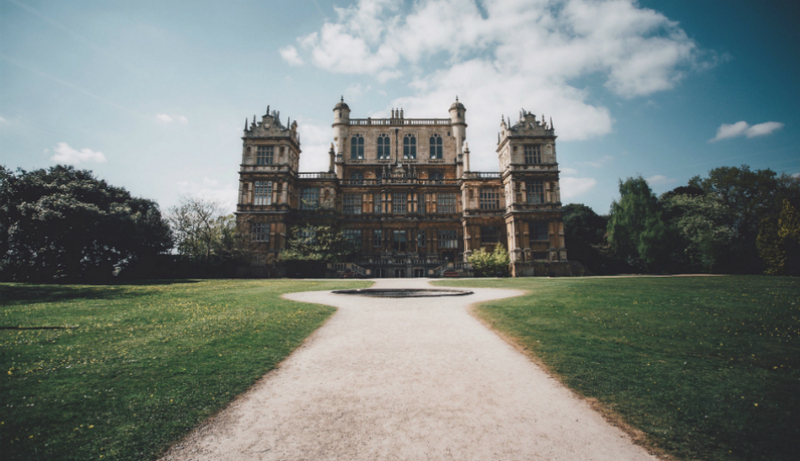 Batman inhabited an Elizabethan mansion in The Dark Knight Rises, and the house used was none other than Nottingham’s Wollaton Hall. In addition to the vast Grade I listed mansion, the site also hosts the Natural History Museum, and the surrounding grounds are home to free-roaming deer. Learn more about the undergraduate and postgraduate courses available at The University of Law’s Nottingham campus.